It’s no secret that the utterly British luxury brand co-founded by brothers Giles and Nick English has quickly established itself as one of the world’s premier watch brands. 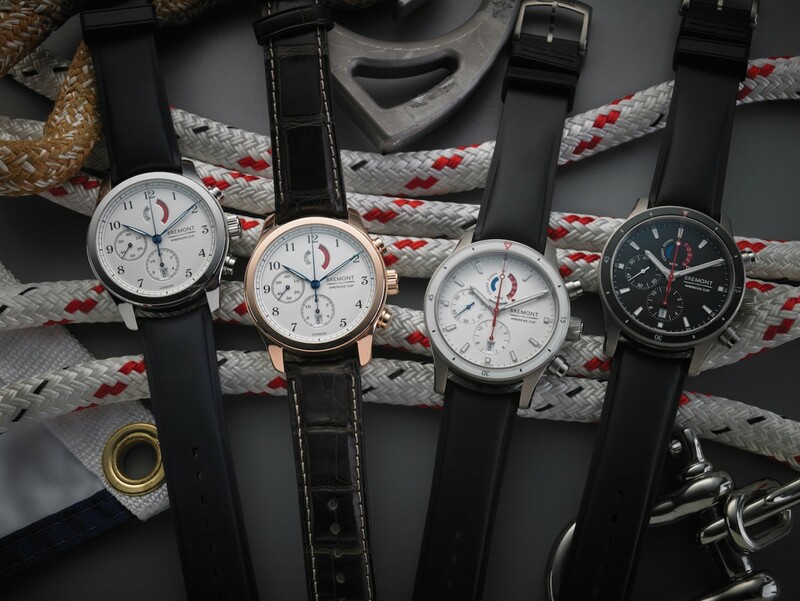 But, after I caught up with Bremont Watch co-founder Giles English at the America’s Cup World Series in New York City recently (Bremont is the official timing partner of the America’s Cup presented by Louis Vuitton and defending champs ORACLE TEAM USA), I’m not surprised this relatively new brand has been able to succeed in the highly competitive high-end watch world. For Giles, crafting stunningly beautiful high-quality timepieces is way more than just a job. 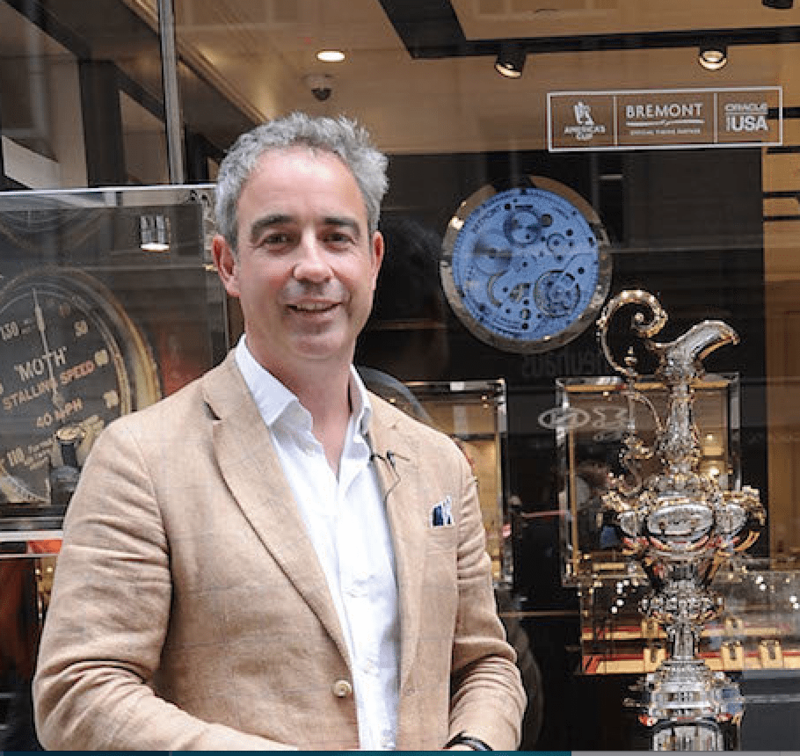 Giles stands with the America’s Cup in front of Bremont’s Mayfair boutique. In fact, Giles took me by surprise with his openness when we started talking about building a watch brand from the ground up. “In the beginning there was my father,” he says. “He was an amazing guy who was Ph.D. aeronautical engineer. He also had a passion for planes, and built a plane that I still fly. He also built a boat that we lived on for six months as kids. And he loved restoring old clocks and watches in his workshop. The “stuff” he speaks of is to design and manufacture elegant, precise, high-quality watches as well as to try and help England return to watchmaking prominence. “At the turn of the century, half of the world’s watches were made in Britain,” he says. And simply put, being inspired by history without being shacked by it is the “secret” of Bremont’s success. This philosophy is as apparent in Bremont’s America’s Cup collection as it is in the limited edition watches they manufacture for Boeing, and Jaguar, and elite military uses. But it was the watch on Giles wrist that day in New York that really captivated me as we talked. “Tell me about the watch you’re wearing” I ask. “This watch?” he says with a smile as he takes it off to show me. “Every few years we come out with a Limited Edition watch. This is our Wright Flyer that features an actual piece of the first “Wright Flyer” that flew in 1903. “We worked with Amanda Wright Lane and the Wright Brothers Family Foundation to raise funds to restore Orville and Wilbur’s family home in Dayton, Ohio. They gave us a little bit–fourteen inches square–of the material from the lower left wing of the first plane ever flown. English obviously knows his stuff and his watches are elegant, understated, and superbly functional. But, I think the fun he, his brother, and a growing workforce of English craftsman are having designing, manufacturing, and selling things they really love, in addition to being inspired by, and even revering history (without being shackled to it), really sets them apart. No wonder the Bremont brand continues to grow. Previous articleCan Sunglasses made from ocean plastic Help People, the Planet, AND look cool too?